The qualification of Intermediate Working Retriever will be awarded to a dog who has qualified in three set tests. Each of the first two tests will gain the dog a rosette and the third will gain the dog a certificate stating the qualification. 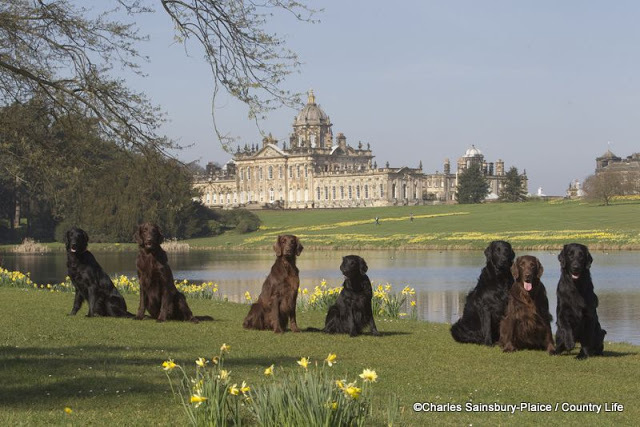 *There is provision for a dog to be awarded the qualification of Intermediate Working Retriever without having first gained the Novice Certificate – but this dog must have gained four intermediate test awards. There will be at least one diversion shot and one diversion dummy. At least one of the retrieves will be a walk-up where one dog will ‘honour’ the working dog. **A double mark is where two retrieves are presented to the dog before it is sent for any retrieve. Dogs will be steady on the line. A controlled break or creeping will be penalised. A dog must retrieve to hand as in the novice test. Dogs may be handled on marks but excessive handling will get a lower score. Excessive handling will be decided by the judges, but the handler will be told. Dogs who switch dummies will be eliminated. The following will prevent a pass and although the dog is “not ready”. This will not prevent it trying again at a later date, indeed with further training this should be the aim of the handler. The judges will explain any reasons for failure and try to give help, if required, to eliminate the fault.